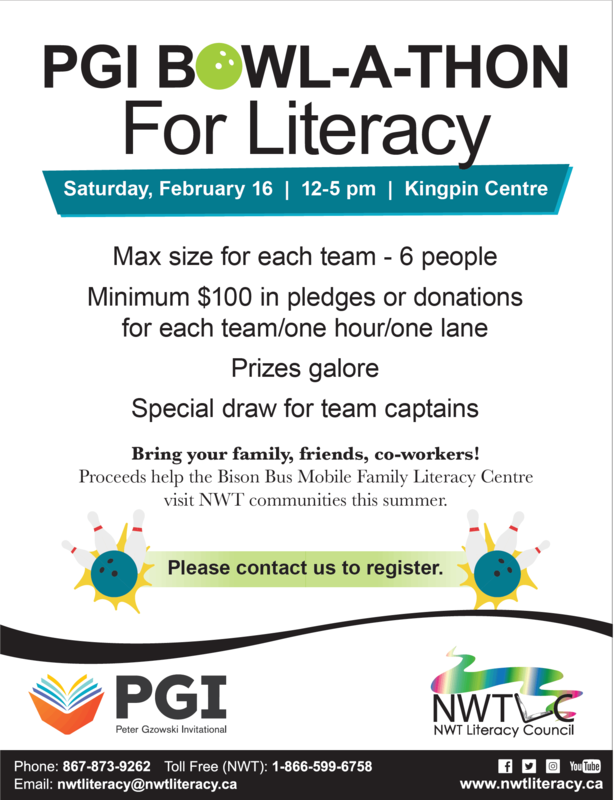 Register your team now for a lane during PGI Bowl-a-Thon for Literacy on February 16 from 12-5 pm. Call the NWT Literacy Council to register, pick your time slot, and get your pledge sheets. Minimum $100 in pledges or donations for each team for one hour on one lane. This is a fundraiser to buy supplies for the Bison Bus Mobile Family Literacy Centre. The NWT Literacy Council will be visiting NWT road-accessible communities this summer.